The most innovative kitchen assistant on the market now comes with Cook-Key®, a wi-fi attachment that along with a Cookidoo® membership unlocks more than 41,000 recipes from around the world with just a few clicks. 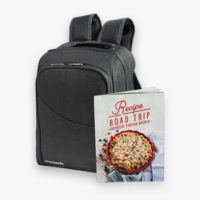 While your Cook-Key® is on its way to you, register for a free 30-day trial on the US Cookidoo® recipe platform cookidoo.thermomix.com and start browsing, selecting favorites and exploring the world wide treasure trove of Thermomix® recipes. Then register your Cook-Key® in your Cookidoo® profile and receive an additional six months free membership! 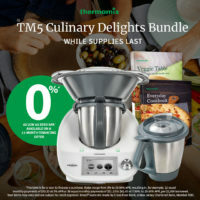 That is a total of seven months of free, unlimited access to every delicious, success-guaranteed Thermomix®-tested recipe available in the world. 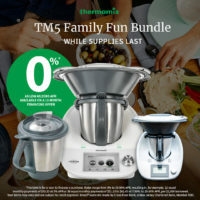 The Thermomix® (Mini) for Kids is specifically designed for your little chef who loves helping Mom and Dad in the kitchen. 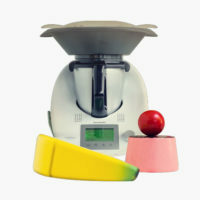 This kid-friendly, battery-operated toy looks just like your Thermomix® with its very own Cook-Key® that guides them through 5 pre-programmed tasty recipes. With the help of a digital Mini Cookbook, containing basic, easy-to-prepare dishes, your kids can mix ingredients themselves, with your supervision, to make milkshakes, yogurt, and even the batter for muffins. 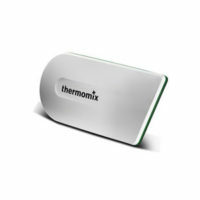 Mixing Knife for the Thermomix TM5. 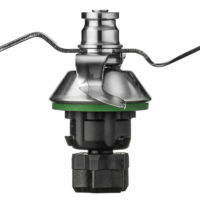 Includes Mixing Knife seal. How can one set of blades chop vegetables, turn sugar into powder sugar, mill grains, emulsify, keep spaghetti in one piece and knead a perfect yeast dough? Well, just watch. Notice: Be sure to always securely lock your mixing knife and its sealing ring with the mixing bowl base to help prevent liquid from damaging your Thermomix. 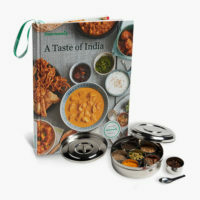 Creating delicious Indian recipes at home has never been easier than with this Taste of India collection. 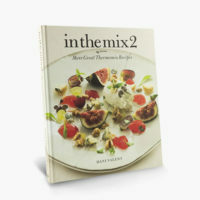 Award-winning food writer Dani Valent’s second Thermomix cookbook showcases restaurant-quality dishes from 74 contributors in 20 countries, including recipes from leading Australian chefs in every state such as Tetsuya Wakuda, Ben Shewry and Mark Best. 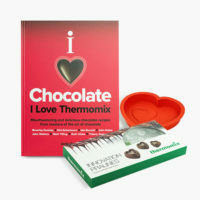 Dani shows that we can all cook like great chefs if we have a Thermomix in the kitchen and her book connects us all to some of the best chefs around the world. Top dishes include the family-friendly Beef Rotolo, a spectacular Carrot Layer Cake and a party-starting Vodka Prosecco Sorbet. This book is written in English and uses metric units. 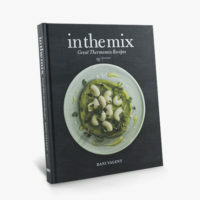 In the Mix: Great Thermomix Recipes is the highly acclaimed cookbook by food journalist and Thermomix enthusiast Dani Valent. Award-winning food writer Dani Valent convinced great chefs to share amazing Thermomix recipes. They’re presented in Dani’s engaging style in this beautiful hard-cover cookbook. Honoured at the Gourmand World Cookbook Awards, this inspiring book is full of gorgeous photography and exciting, achievable ‘foodie’ recipes. Dani’s key message is that we can all cook like great chefs if we have a Thermomix in our kitchen. Think dishes like White chocolate crisps with cumin; Cucumber, mint and lime sorbet and Pumpkin soup with sensational Virtual Bacon Dust. This book makes a wonderful gift. This Cookbook is written in English and uses metric units. Winner of the Gourmand Awards Best Corporate Cookbook – Australia. 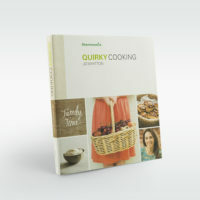 Thermomix presents Quirky Cooking, an allergy-friendly cookbook in partnership with top Australian food blogger, Jo Whitton. Jo’s first cookbook contains over 130 healthy, mouth-watering recipes catered to a broad scope of specialist diets including those allergic to gluten, dairy and nuts. Quirky Cooking is the ultimate cookbook for sensitive eaters, and features an in-depth basics chapter packed with recipes for gluten-free flour, rice almond milk, cashew cream, coconut yoghurt and nut butter, among others. A reflection of Jo Whitton’s individual yet healthy way of cooking, Quirky Cooking encapsulates the recipes shared on her personal blog over the past seven years. Varoma dish for the TM5. Take a culinary adventure across the US with this travel-inspired new bundle. 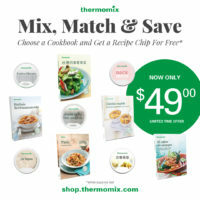 Mix, Match and Save by choosing your favorite Thermomix® cookbook and getting a Thermomix® recipe chip for free! 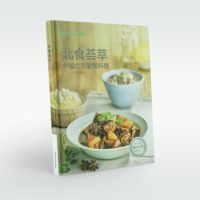 Cookbooks and recipe chips are available in 9 different languages. 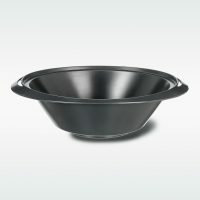 Steaming is healthy and guarantees pure flavor- for potatoes, vegetables, fish, meat and more. 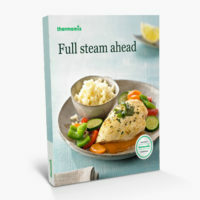 This cookbook presents a range of delicious, international Thermomix® recipes for every day, from starters to main courses and desserts. 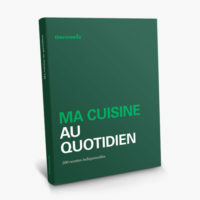 Le livre de recettes de base pour le Thermomix ® TM5, Ma cuisine au quotidien, sera votre meilleur allié pour commencer votre aventure culinaire avec Thermomix ® ! Il vous offre un large choix de plus de 200 recettes conçues pour fonctionner parfaitement avec votre appareil.